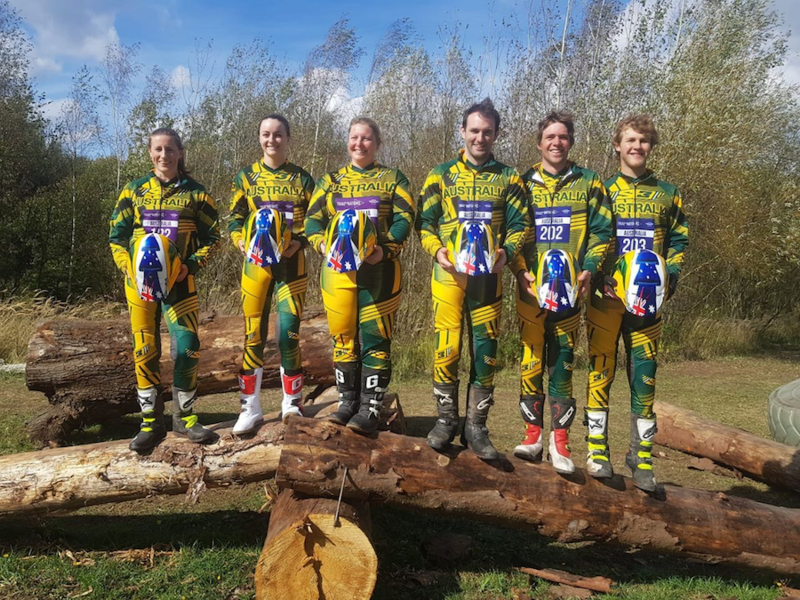 The official Australian squad for the 2019 FIM Trial des Nations (TdN), landing in exotic Ibiza, Spain from 27-28 September, Team Australia will seek retribution after a difficult 2018, with sights set on reclaiming the International Trophy. Returning to Spanish terrain after tackling unfamiliar ground in the Czech Republic last year, Team Australia will navigate a familiar landscape like their home ‘down under’. With terrain expected to feature dry, rocky footing, Team Australia is sure to be a dominant force over the two-day event. Returning in full force for a fourth consecutive year is the Australian Men’s Team, featuring six-time consecutive Australian Trial Champion Kyle Middleton, regular podium holder and household name Chris Bayles and emerging Trials star Connor Hogan. After reigning victorious in 2017 and taking home the International Trophy, the Australian Men’s Team are heralded as a strong true-blue unit with exemplary sportsmanship, bringing a wealth of international experience to the table that is sure to see them at the front the of pack when they land in Ibiza. The Australian Women’s Team will be made up of returning TdN competitor Jenna Lupo, who finished in eighth place last year for Australia. Riding alongside Lupo in 2019 will be newcomer Lillie Yaitrou, who has been labelled as a rising star for the future. At only 16 years of age, Yiatrou continues to feature regularly on the podium and is sure to be an invaluable asset to Team Australia.